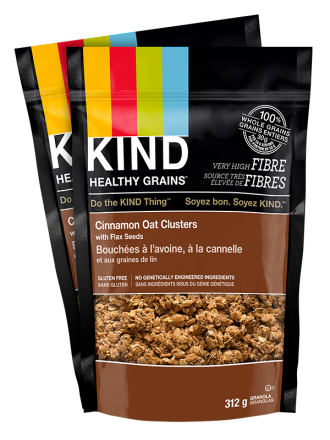 A unique blend of ingredients that includes five whole grains, crunchy flax seeds and vanilla. 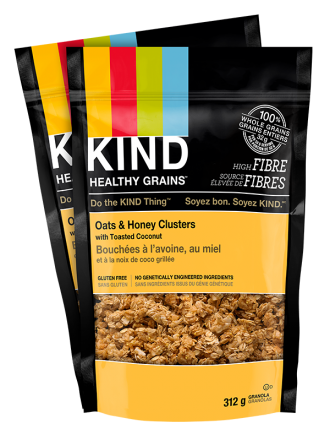 KIND Healthy GrainsTM clusters are delicious blends of whole ingredients, including gluten free oats, buckwheat, amaranth, millet and quinoa, making them the perfect snack for your active lifestyle. Enjoy any way you like: on-the-go, over yogurt or with milk! 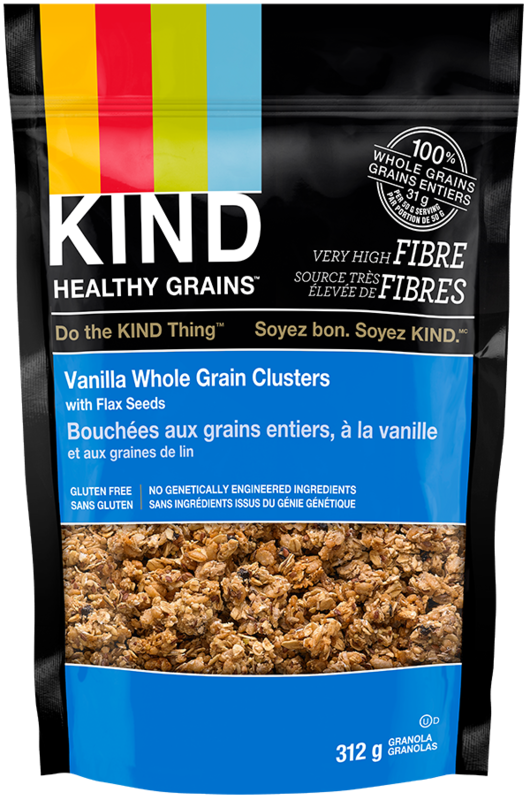 Ingredients: Gluten free oats, cane sugar, brown rice, flax seeds, inulin, buckwheat, canola oil, millet, vanilla extract, amaranth, molasses, blueberry puree, apple puree concentrate, plum puree concentrate, brown rice syrup, quinoa, apple juice concentrate, glycerine, citrus fiber, citrus pectin, sea salt, tocopherols, natural flavor. 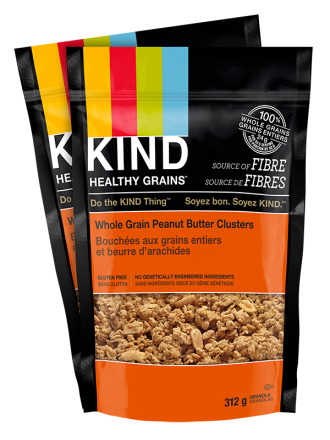 May contain peanuts, tree nuts, soy and sesame seeds.